Experience the heartfelt inspiration of Schubert’s final years in Death and the Maiden, evocatively filled with deep sorrow and stark drama. The slow movement from his Piano Trio, D. 929, exudes bleak, inevitable loss amidst its inexorable momentum. This attractive programme ends with Dvořák’s infrequently heard Quintet No. 2 for string quartet and double bass, a work full of his melodic trademarks, signifying his burgeoning maturity as one of Czech people’s greatest composers. • Children must be age 6 and above to be admitted into the hall. • Children under 6 will not be admitted into the hall, even with a ticket. • Please bring along proof of child’s age, such as a doctor’s appointment card, as random checks may be conducted at the venue. • Parents or guardians of children admitted are strongly encouraged to purchase aisle seats. • We reserve the right to ask parents to bring children out of the hall should they be disruptive during the performance. • No admission without a ticket. 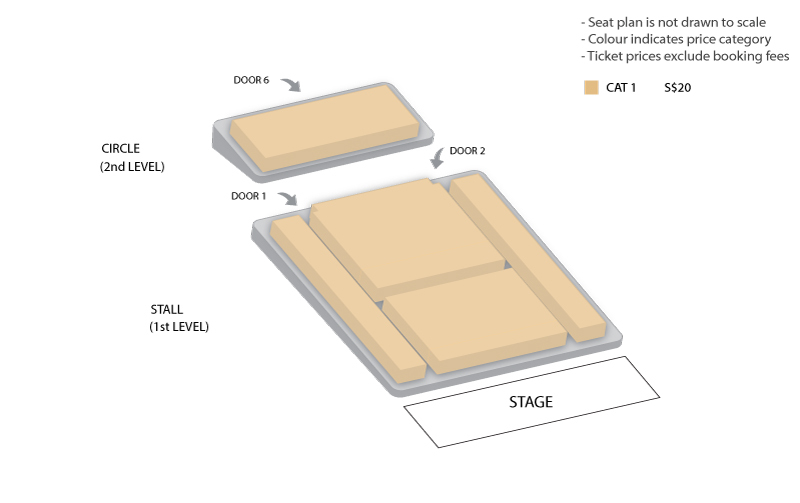 • You are strongly advised to be seated 15 minutes before the performance start time. • Latecomers will only be admitted at appropriate pauses during the show or during intermission. • Non-flash photography is allowed during bows and applause. No photography when artistes are performing. • Unauthorised video recordings are strictly not allowed. *20% Discount for 2-concert bundle. Applicable to all concerts in the following series: VCH Presents, VCH Excite!, VCH Organ Series and SSO Chamber Series unless otherwise stated. Not applicable to VCH Excite! - A New World: intimate music from FINAL FANTASY (17 Nov 2018). S$15 per ticket for Students, Senior Citizens (55 years old & above), NSFs & Persons with Disabilities (PWD). S$10 per ticket for Student Groups with a minimum purchase of 4 tickets. 10% Discount for Gallery Insider.